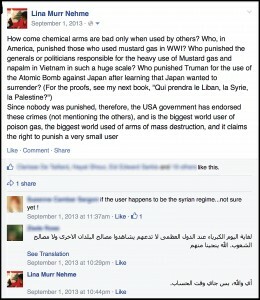 When the news broke about the Syria chemical weapons attack (sarin gaz), I happened to be out of Lebanon. I was too upset to work, and I stayed all day long in the hotel business center, watching the televised debate about Syria in the British Parliament. It reminded me of the old days of the Taef treaty (1989-1990). 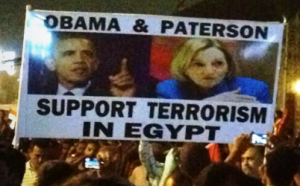 I was also out of Lebanon, living in the vicinity of Boston. I watched on TV the big nations condemning to death a small nation that was mine. I haven’t changed my mind. Even if my burning the ISIS flag has made us direct enemies, even if I shall use that picture of the burned ISIS flag (top of the page) as a symbol as long as ISIS will be strong, I still think that those who are bombarding ISIS are much more criminals than ISIS. But now, everybody has forgotten the terrorists of the Free Syrian Army who used to cut the throats of their brothers, the Syrian soldiers or policemen, in front of the cameras, or to eat the heart of Syrian soldiers, as did Abu Sakkar. The Free Syrian Army has not become innocent just because worse have emerged. 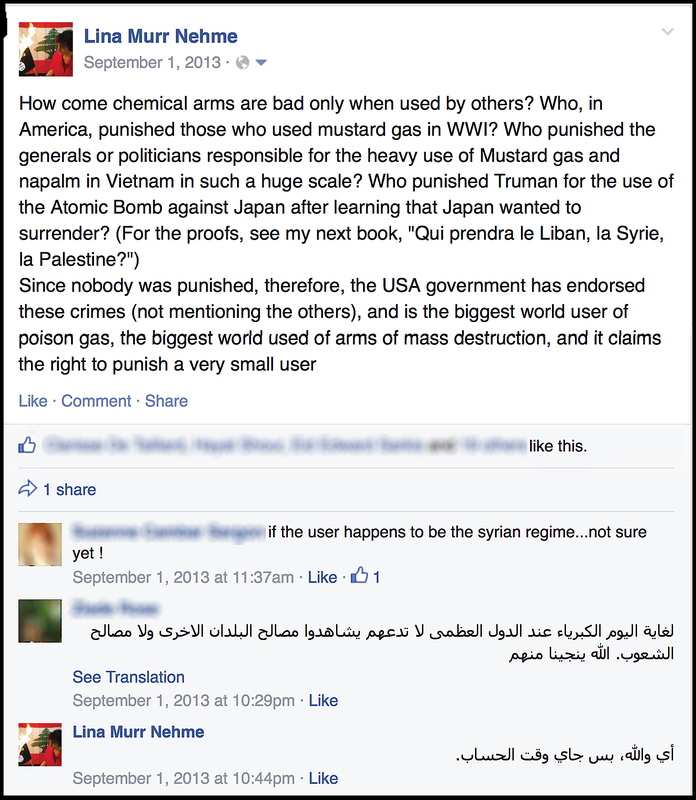 If you want to defend the Syrian opposition, then defend Michel Kilo and his likes. Defend the late Patriarch Hazim. Don’t defend the terrorists of the so-called Free Syrian Army. Indeed, if they had been good, if they had told the truth, they would not have been helped and defended by Obama, Saudi Arabia and Qatar. And their fruits would not have been Nosra and Daesh(ISIS). Tell me who your allies are, and I will tell you who you are. EIL, Daesh, ISIS, quel pays est-ce là? L’Occident l’appelle EIL, ISIS ou ISIL. Mais son nom est Daesh, al dawlat al islamiyyat fil Irak wa Bilad el-Cham (Etat islamique en Irak et dans le Bilad el-Cham). Bilad el-Cham est le nom que les Arabes donnaient, et donnent encore aux pays que nous appelons Liban, Syrie, Palestine, Israël, Jordanie. L’invasion d’Israël et de la Jordanie fait donc partie du plan d’origine de Daesh, tout autant que l’invasion du Liban, de la Syrie et de l’Irak, auquel Daesh travaille en ce moment. 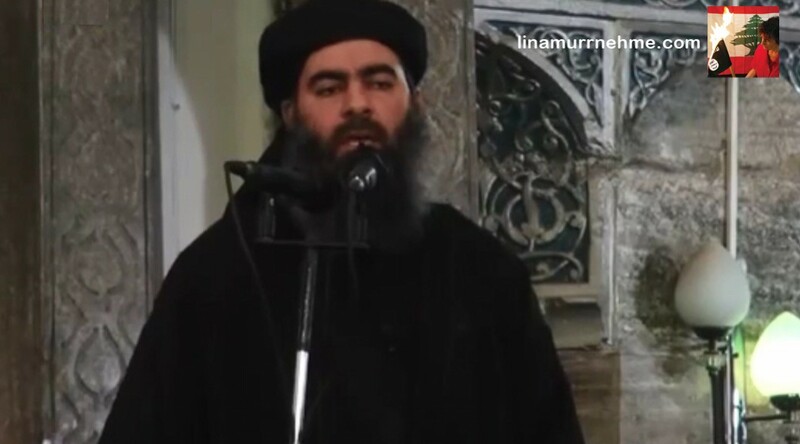 Maintenant, Daesh se donne le nom de califat et prétend octroyer à son leader, Bagdadi, la souveraineté sur le Monde entier. Pour attirer l’attention sur son intention to take New York, j’avais placé le mot ci-dessous sur Facebook, quelques jours après que Bagdadi se soit proclamé calife. 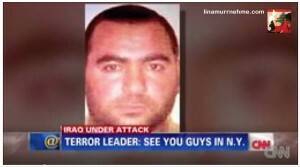 Sous le mot, j’avais mis cette photo tirée d’un reportage de CNN qui rapportait ces derniers mots dits par Bagdadi aux Américains qui le gardaient prisonnier en Irak. ISIS, ISIL, DAESH : what country is that? Call it ISIS, ISIL or EIL, it’s real Arabic name is Daesh, al dawlat al islamiyyat fil Irak wa Bilad el-Sham (Islamic State in Iraq and Bilad el-Sham). Bilad el-Sham is the name that was (and still is) given by the Arabs to the countries we call Lebanon, Syria, Palestine, Israel, Jordan. So the invasion of Israel and Jordan is in the original plan of Daesh, as well as the invasion of Lebanon, Syria and Iraq. 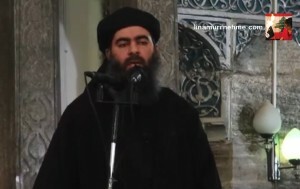 Now, Daesh calls itself “Caliphate” or “Islamic State”, thus claiming a global sovereignty for its leader, Baghdadi. To attract attention on his intention to take New York, I published the following post on Facebook a few days after Baghdadi proclaimed himself a caliph. Under the post I placed this picture below, a photo from a CNN report that related the last words of Baghdadi to the Americans who had kept him prisoner in Iraq.